Doing some remodeling? Adding on to your home? Installing an outdoor landscape lighting system? Building a brand new home or workshop from scratch? Call Asbury Electric for any kind of electrical installations to your property. Give Asbury Electric a call when it is time to install your power, wiring, switches and fixtures. Our team of licensed electricians are experienced with everything from simple lighting retrofit projects and ceiling fan installations, to remodeling projects and new home electrical design and wiring. We’re experienced with home electrical installations and upgrades including modernizing old knob and tube wiring. That’s why we’ll make sure your home remains safe while we install your upgrades, and you’ll end up with a modern, reliable, code-compliant electrical system that will last for generations. 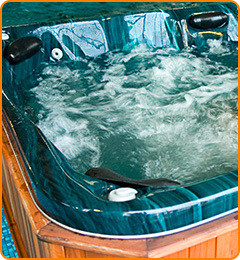 Are you thinking of adding a hot tub or other large system to your home? You’ll likely need an upgrade to your electrical system. You can trust Asbury Electric to make sure you’ve got the right amount of power where and when you need it. Therefore you won’t have to worry about breakers popping because they are overloaded. All of our work will meet or exceed the standards required by local building codes. And we stand by our work, so if something doesn’t seem right, all you have to do is give us one call and we’ll be on our way out to inspect everything and make sure all of the work was done to our exacting specifications and that you are 100 percent satisfied with the outcome.